Hugh Farmer: Queries and Answers 11, posted 2nd Nov 2013, mentions American Louis Marx’s Hong Kong “The Elm Tool and Die Company”, established in the 1950s and managed by a David Yea. However, I got both the name of the company and Mr “Yea’s” wrong. So the actual company name has now been confirmed. Let’s have some brief information about Marx and his initial involvement in Hong Kong including David Yeh (not Yea). 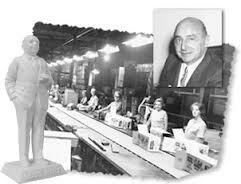 Louis Marx (11th Aug 1896 – 5th Feb 1982) was an American toy makers and businessman whose company, Louis Marx and Company, was the largest toy company in the world in the 1950s this earning him several nicknames including The Toy King, the Henry Ford of the Toy Industry, and Toycoon. In December 1955 he made the cover of Time magazine. He was famous for not advertising – in the same year and at his peak he spent $312 promoting his toys. He was the first American toy maker to visit Japan post WW2. In the mid 1950s he came to Hong Kong and visited several factories including Kader, Plastic Manufacturing Corporation (PMC) and Forward Products which were all involved in Hong Kong’s plastic business. They began to supply Marx with a variety of toys. 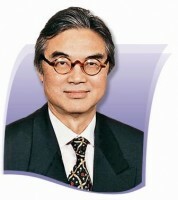 Marx was introduced to David Yeh Chung-woo and offered him the job of representing Marx in Hong Kong. Marx instructed Yeh to purchase land and build a factory which he did in North Point. By the late 1950s the company, Elm Tool and Machinery was both up and running and at its peak had around 2,500 employees. W Britain Toys – made in Hong Kong from 1966 to ?